BEIRUT,(Xinhua) -- Arab leaders and officials on Sunday urged the international community to support nations hosting Syrian refugees and take steps to minimize the impact of the refugee crisis. The call was made in the Beirut Declaration issued as the Arab Economic and Social Development Summit concluded in the Lebanese capital. "We call on the international community to support Arab countries hosting Syrian refugees and take steps to stop the economic repercussion of the refugee crisis," said the declaration. The refugee crisis in Arab countries is the worst humanitarian problem since World War II, the declaration said, noting that the crisis leads to an economic slowdown, increases the expenditure and deficit, imposes burdens on public sectors and infrastructure and poses risks to the society. Arab leaders called on the world to shoulder its responsibilities to minimize the impact of the refugee crisis and double efforts to encourage and facilitate the return of refugees to their homeland. This is the first time Arab countries have reached a consensus on encouraging Syrian refugees to return to their country, according to Lebanese caretaker Foreign Minister Gebran Bassil at the press conference after the summit. Arab states also called upon through the declaration donor nations to fulfill their promises to offer financial support to nations hosting refugees. At the opening session of the summit, Lebanese President Michel Aoun called for the world to step up efforts for Syrian refugees to return home. "Lebanon calls on the international community to exert every possible effort and to ensure the suitable conditions for the safe return of the displaced Syrians to their country, particularly to the accessible stable regions or the de-escalation zones, without linking this return to the political solution," Aoun said. Lebanon has been shouldering for years the "heaviest burden" of the displacement of Syrian and Palestinian refugees, who make up about half the Lebanese population with inadequate resources, he added. Since conflict broke out in Syria in 2011, more than 1 million people have fled across the border to Lebanon. The United Nations says conditions are not yet ready for their safe return. The fourth Arab Economic and Social Development Summit on Sunday kicked off in Beirut. Although at least eight heads of states were expected here, only the Qatari emir and Mauritanian president joined the event. But Qatari Emir Sheikh Tamim bin Hamad Al Thani arrived shortly before the summit and left minutes after it began. The other participating countries sent their second-level and third-level ministerial delegations. 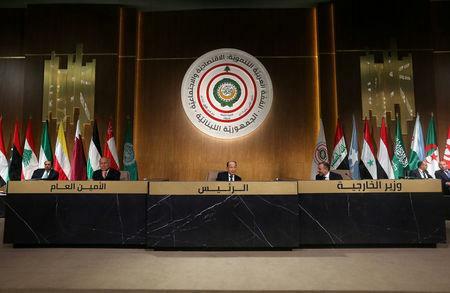 Rifts among Arab states over the absence of Syria and Libya have overshadowed the Beirut summit. Syria is not invited to the summit organized by the Arab League (AL) as its AL membership was suspended in November 2011 through the rising casualties in the violent clashes during anti-government protests. Ahead of the summit, Bassil openly called on AL to re-admit Syria while Ahmed Aboul-Gheit, secretary-general of AL, said AL member states have not reached a consensus on Syria's return to the 22-member bloc. 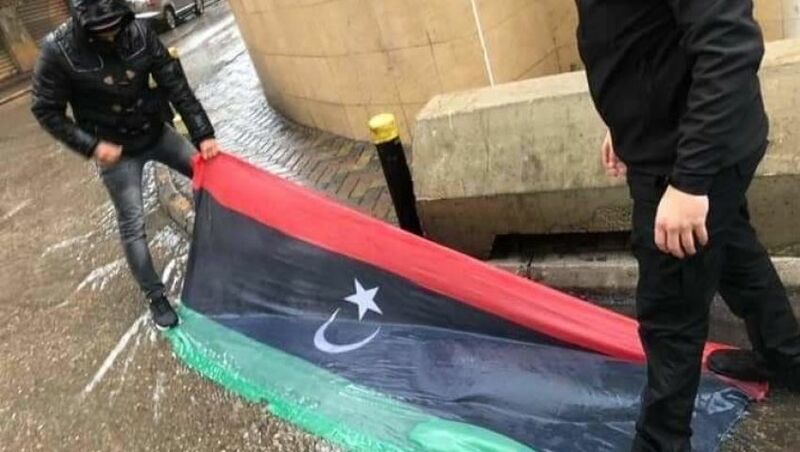 Libya's seat was also empty as it protests against the summit after supporters of the Lebanese Amal Movement tore the Libyan flag in Beirut. The Arab economic summit, held at the head-of-state level to address issues of economic and social development among member states, is a prelude to the AL summit scheduled for March in Tunisia. Khoury, an accomplished entrepreneur who earned his MBA at Northeastern, has launched and scaled companies in a variety of fields, including medical products, medical services, aerospace manufacturing, aerospace distribution, and oilfield services. He and his wife, Julie, met at Northeastern while she was also earning her MBA. “Julie and I spent some time thinking about how we might be able to give back to the university and its students in a way which could be really meaningful,” Khoury said. “This is more rewarding for us than it is for the university.” Northeastern’s Khoury College of Computer and Information Sciences is a national leader in cybersecurity and privacy in an increasingly digitally connected world. It will be one of the first named colleges of computer science nationally. Over the past decade, computer science enrollment at Northeastern has skyrocketed, and now stands at 3,474 students. Simultaneously, the academic quality of computer science applicants—already at a high level—continues to rise each year. “Julie and I would like to help prepare learners for a future reality where human, data, and technological literacies will become imperative for success and leadership in a world based on innovation rather than resources,” Khoury added.“This digital transformation is well underway, and it is impacting how all of us communicate, learn, and work.” Khoury’s vision for the Khoury College of Computer and Information Sciences is strongly aligned with the university’s academic plan, Northeastern 2025. As the global economy adapts to the influence of artificial intelligence, machine learning, robotics, and cybersecurity, Northeastern is empowering humans to be agile learners, thinkers, and creators, beyond the capacity of any machine. During a private meeting with computer science faculty and staff on Dec. 7, Khoury suggested that he was doubling down on that mission. 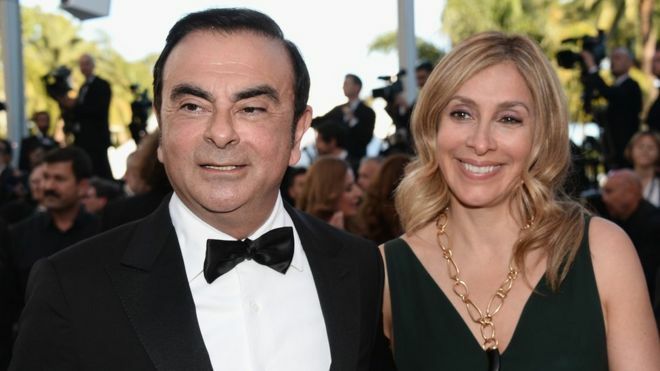 by bbc.com The wife of former Nissan boss Carlos Ghosn has said he is suffering under "harsh treatment" in a Japanese jail, where he has been detained for nearly two months. In a letter to Human Rights Watch, Carole Ghosn described constant interrogations and appealed for action. Mr Ghosn's arrest for financial misconduct shocked the auto industry. His detention, which is likely to continue for months, has drawn criticism of Japan's justice system. In Japan, interrogations can be done without a lawyer present. Suspects can be detained for up to 23 days before being formally charged. Bail is not easily granted unless a suspect admits to the charges, according to the Japanese Federation of Bar Associations. Mr Ghosn, a towering figure of the car industry, faces three charges of financial misconduct including understating his income and aggravated breach of trust. He has denied any wrongdoing. "For hours each day, the prosecutors interrogate him, browbeat him, lecture him and berate him, outside the presence of his attorneys, in an effort to extract a confession," Mrs Ghosn said in her nine-page letter to Human Rights Watch. Last week, a judge said incarcerating Mr Ghosn was justified to prevent possible evidence-tampering and because of the risk that he might flee. His defence team previously denied that the executive had been pressured to sign documents or a confession in Japanese, the AFP news agency reports. 'Draconian' justice system In the letter, which has been widely reported, Mrs Ghosn describes the conditions of her husband's detention. She said he is being held in a small, unheated cell and denied daily medication. He has lost weight since his detention, she said, and eats mainly rice and barley. Last week, the 64-year-old looked visibly thinner when he appeared in court for the first time since his arrest on 19 November. "I urge Human Rights Watch to highlight his case... to press the government to reform its draconian system of pretrial detention and interrogation," the letter said. BEIRUT (Reuters) - The U.S. State Department criticized Lebanon’s Iran-backed Hezbollah group on Monday for digging tunnels into Israel and stockpiling rockets, as Washington steps up efforts to isolate Tehran. In recent weeks, Israeli forces uncovered tunnels they said were dug by Hezbollah, and Lebanon complained about Israel’s construction of a barrier along disputed parts of the border. The United States, Israel’s closest ally, regards Hezbollah as a terrorist group and has pledged tougher steps to counteract Iranian influence in the region, but it has also reiterated its backing for the Lebanese government - which includes Hezbollah representatives - and army. Secretary of State Mike Pompeo last week vowed to expel “every last Iranian boot” from Syria, where Iran has been fighting alongside Hezbollah, and where Israel has been carrying out strikes against both. “While Lebanon has the right to defend itself, that is the right of the Lebanese state alone,” said David Hale, U.S. under secretary of state for political affairs, after meeting Lebanese prime minister designate Saad al-Hariri. “It is unacceptable to have a militia outside the control of the state, and unanswerable to all people of Lebanon digging attack tunnels across the blue line to Israel or assembling an arsenal of over 100,000 missiles with which to threaten regional stability,” he added. Israel, which regards Hezbollah as the biggest threat on its borders, on Sunday said it had completed efforts to find and destroy tunnels under the frontier that it said the group had dug to infiltrate fighters during a future war. Hezbollah has not commented on the tunnels. Lebanon’s National Security Council last week said an Israeli border wall that crosses into territory claimed by Lebanon, constitutes an act of aggression. However, both sides appear ready to contain matters for now. “Israel’s interest is to keep the (situation) quiet. I think for them (Hezbollah), that interest is even greater,” Lieutenant General Gadi Eizenkot said last week after completing his term as Israeli army chief. Hezbollah was set up by Iran in the early 1980s to fight Israel’s occupation of south Lebanon, but it retained its weapons after Israeli forces withdrew in 2000 and has become the strongest political force in the country. The last conflict between Israel and Hezbollah, fought on Lebanese soil, was in 2006. A United Nations Security Council resolution ending that conflict called for work to delineate the border, but the frontier has still not been agreed. The border dispute has also affected Lebanese plans to drill for oil and gas near an area of sea claimed by both countries. Hale’s visit comes as Lebanese politicians continue to jostle over the formation of a new coalition government more than eight months after an election. Hezbollah is part of Lebanon’s caretaker government and is expected to be included in any new coalition formed by Hariri. Lebanon’s failure to form a new government was dragging down the economy and “endangering the country”, Hale said, and urged the caretaker government to move forward on the economy to maintain international confidence. Reporting By Angus McDowall; Additional reporting by Maayan Lubell in Jerusalem; Editing by Robin Pomeroy Our Standards:The Thomson Reuters Trust Principles.